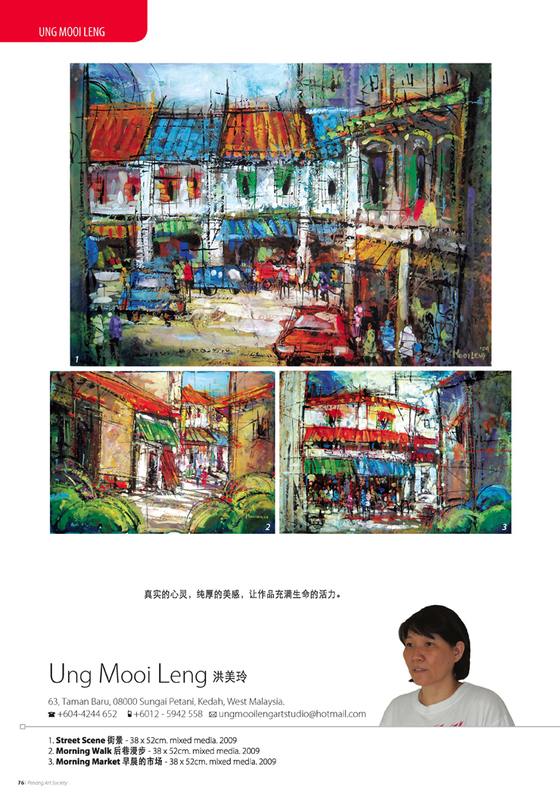 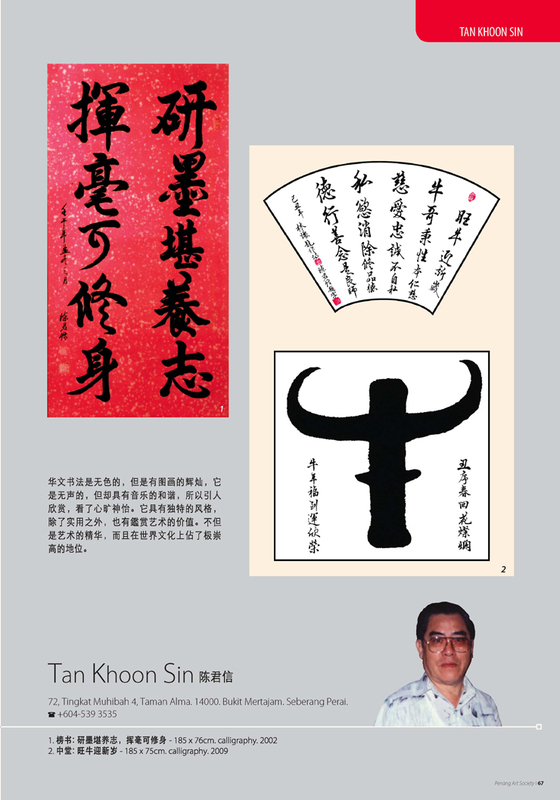 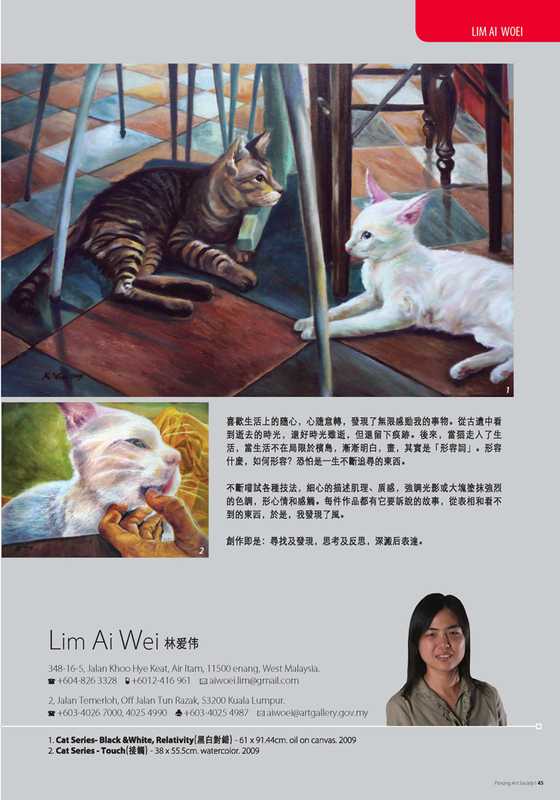 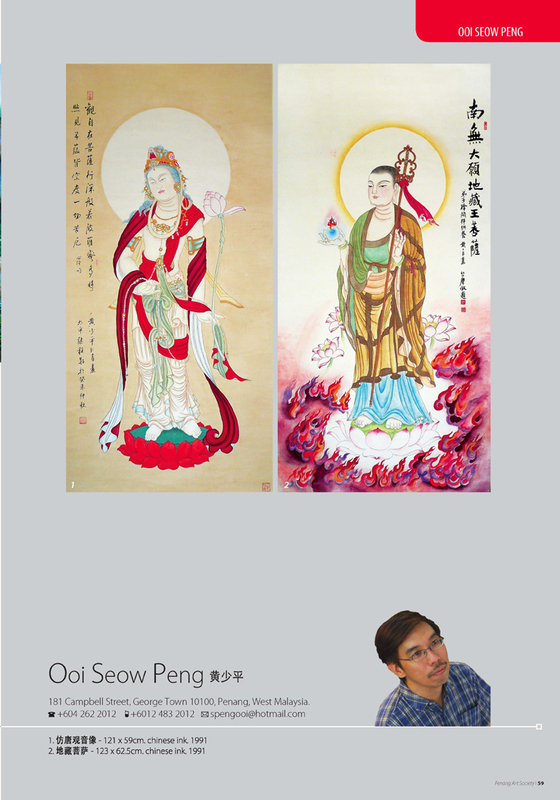 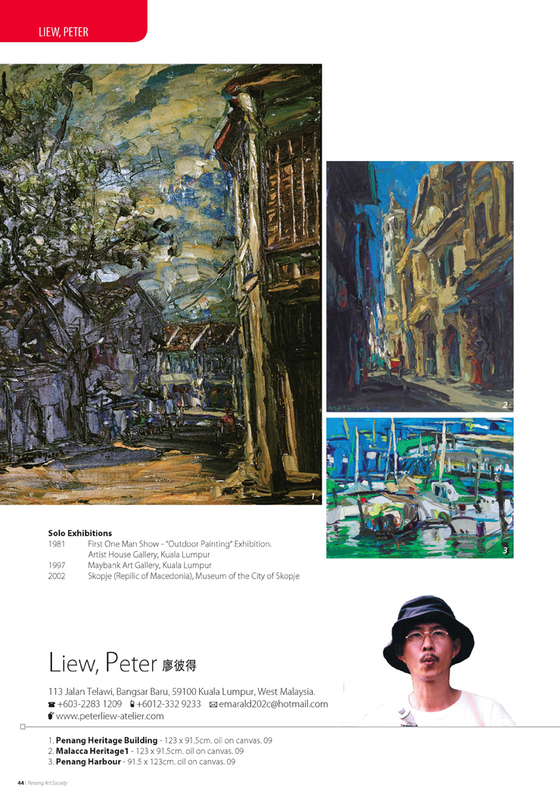 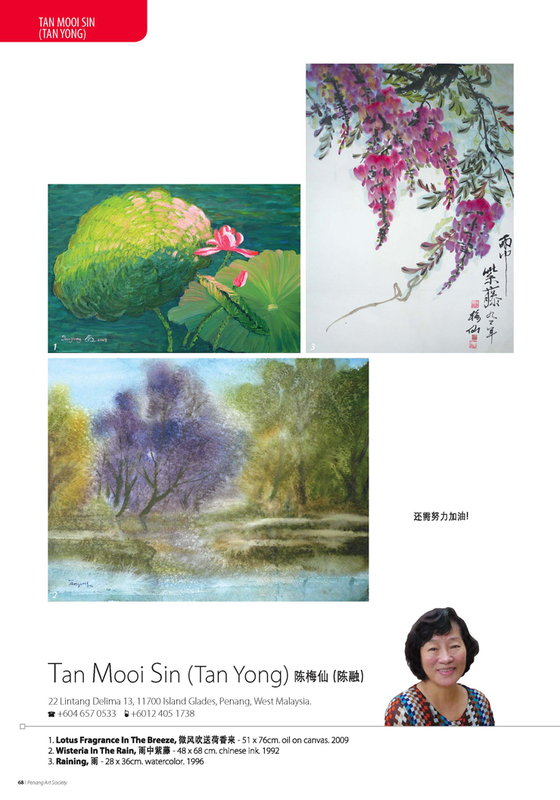 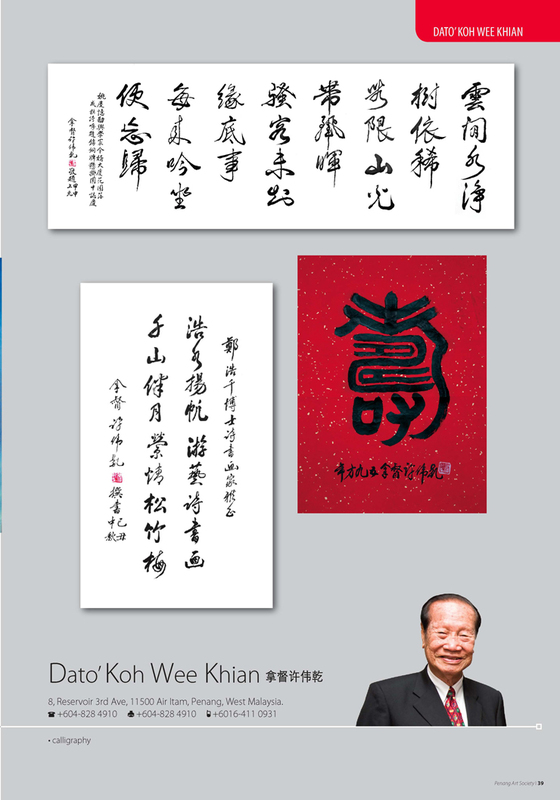 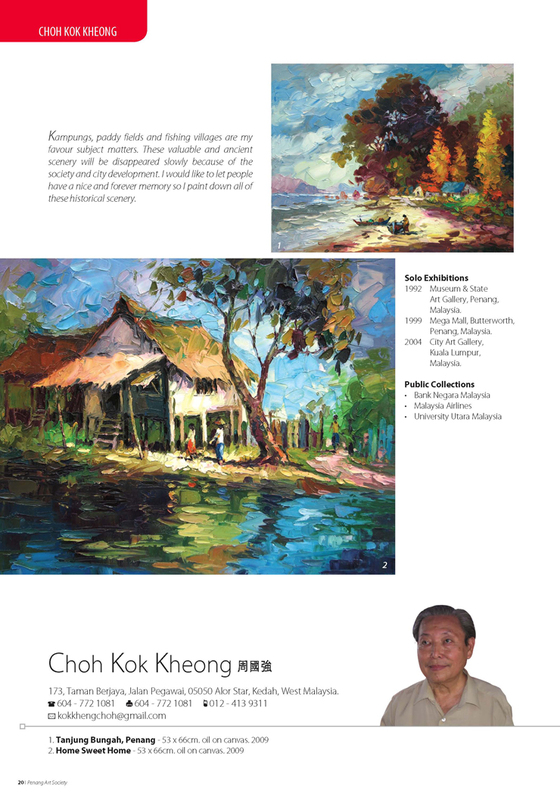 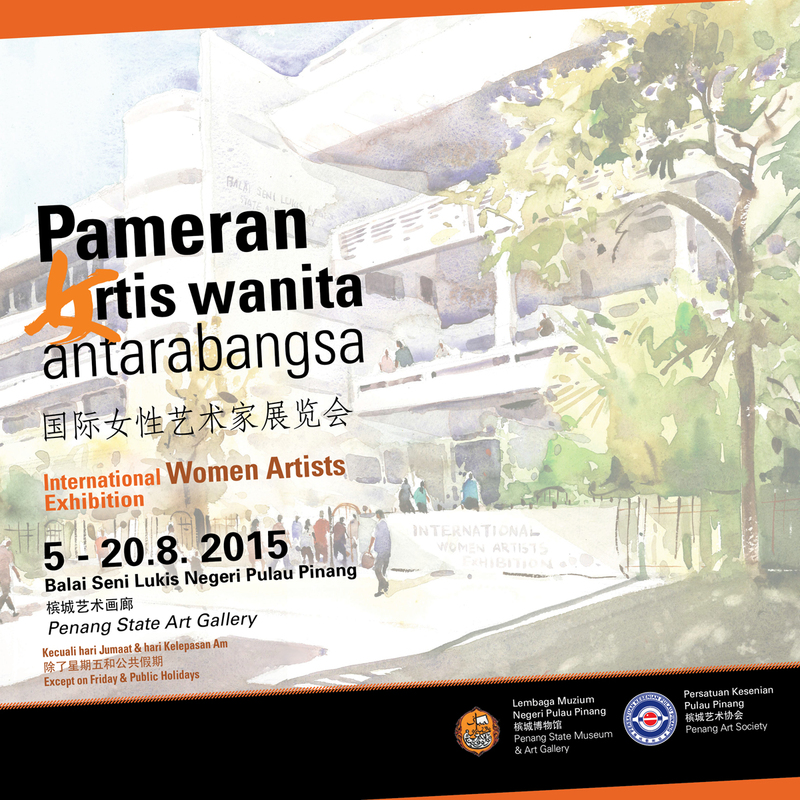 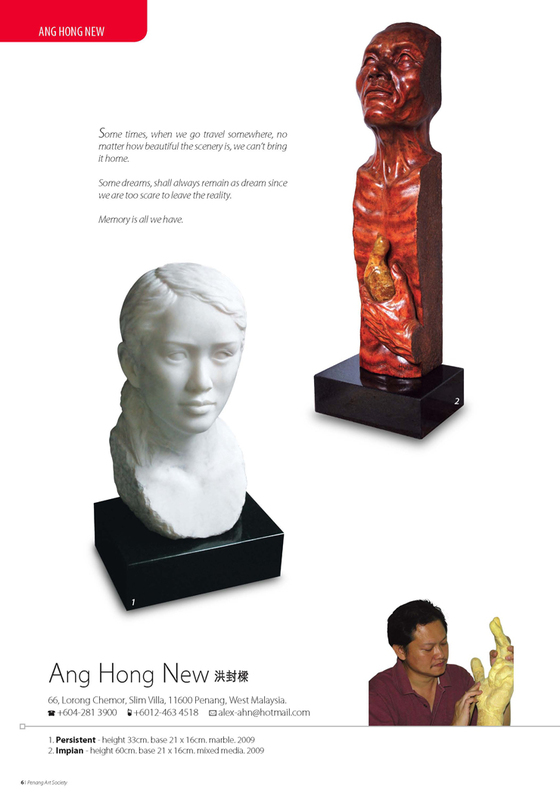 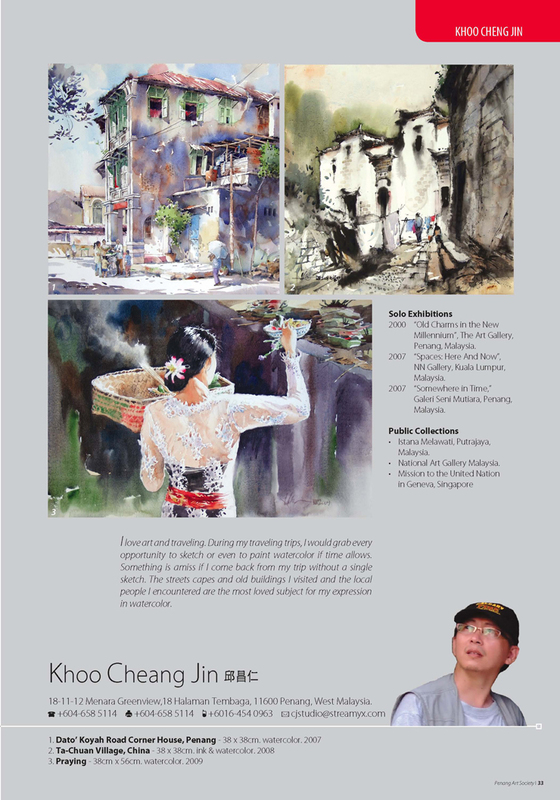 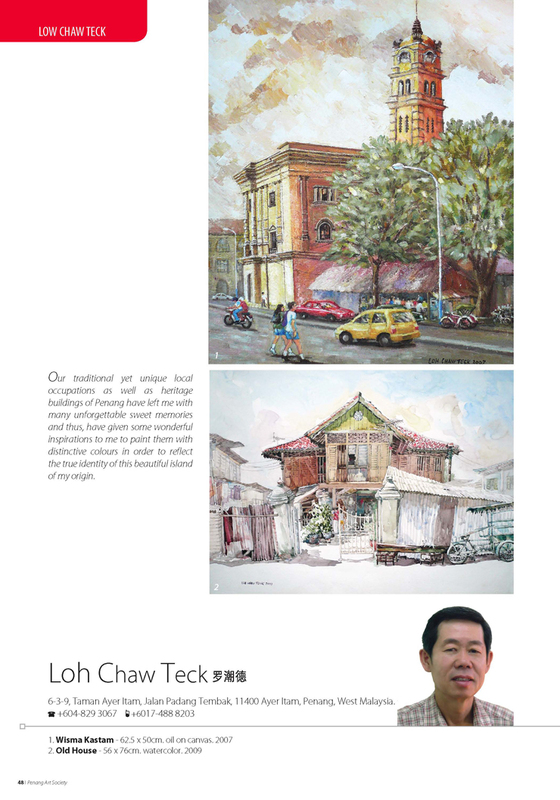 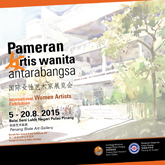 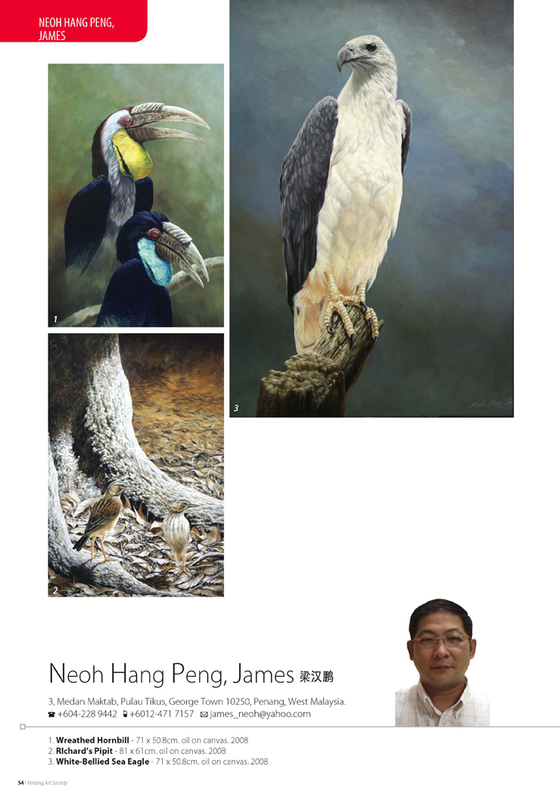 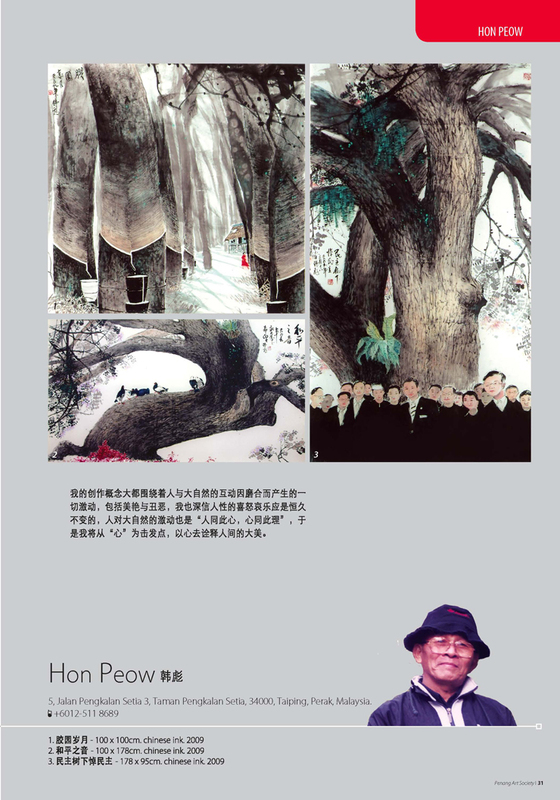 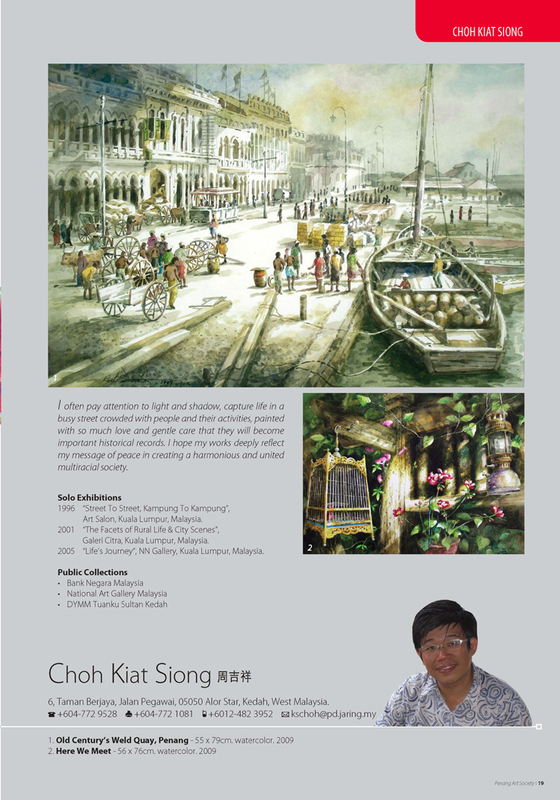 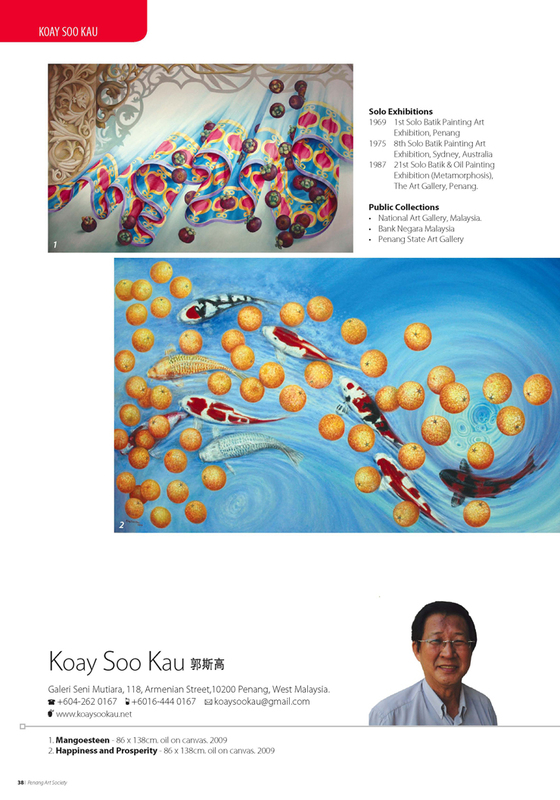 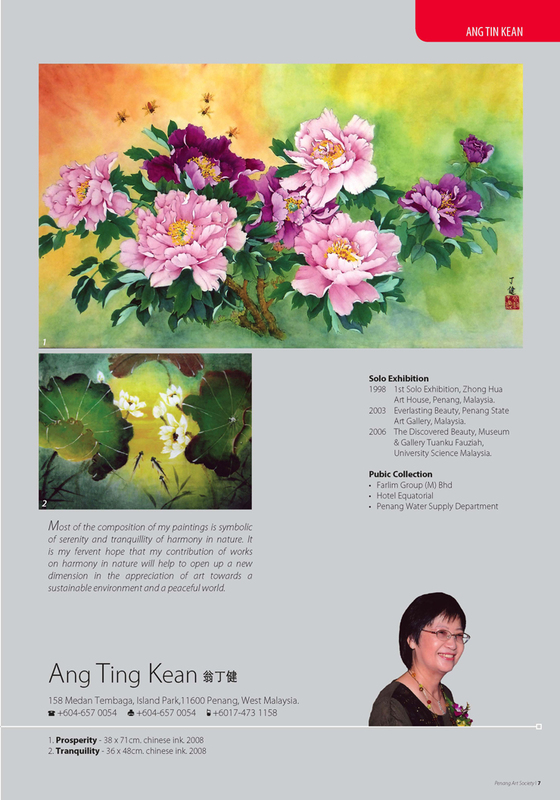 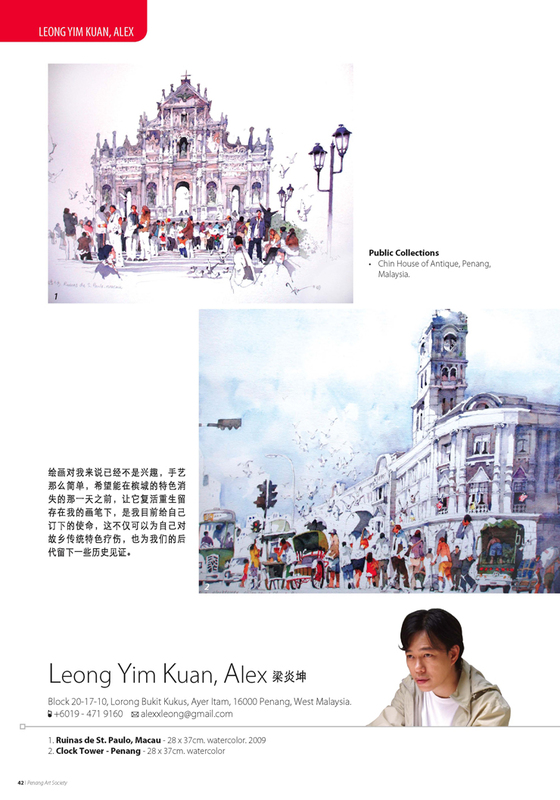 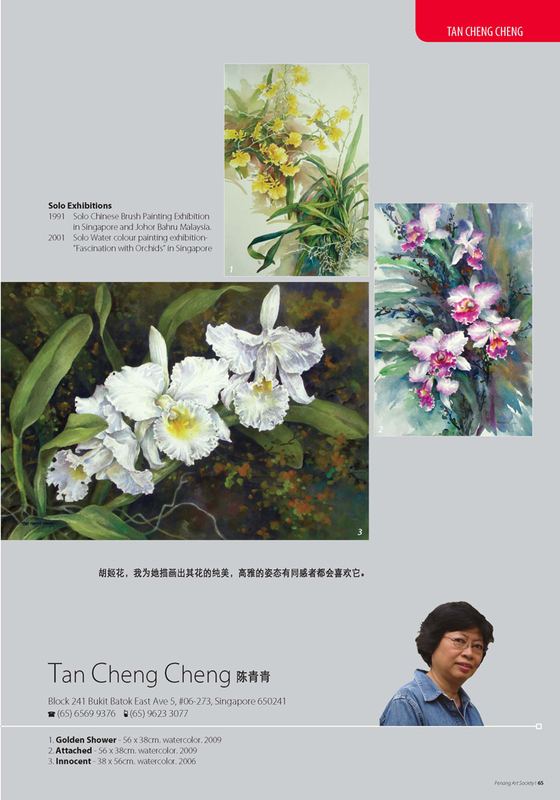 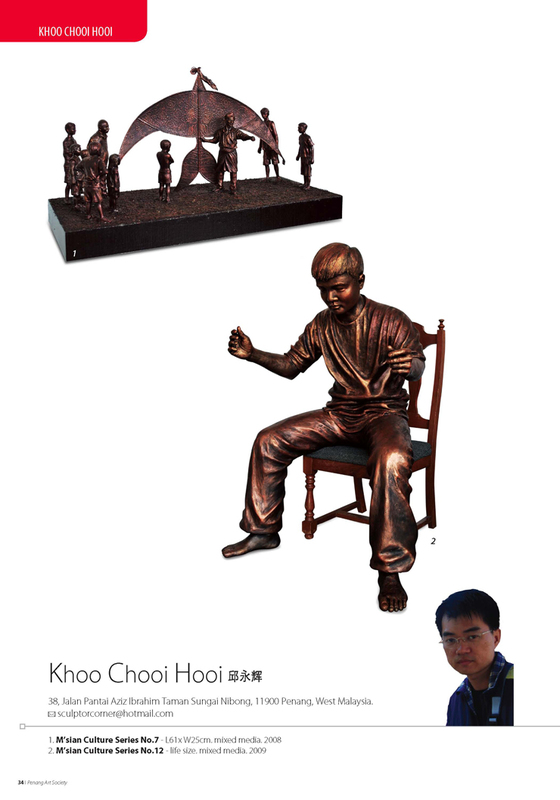 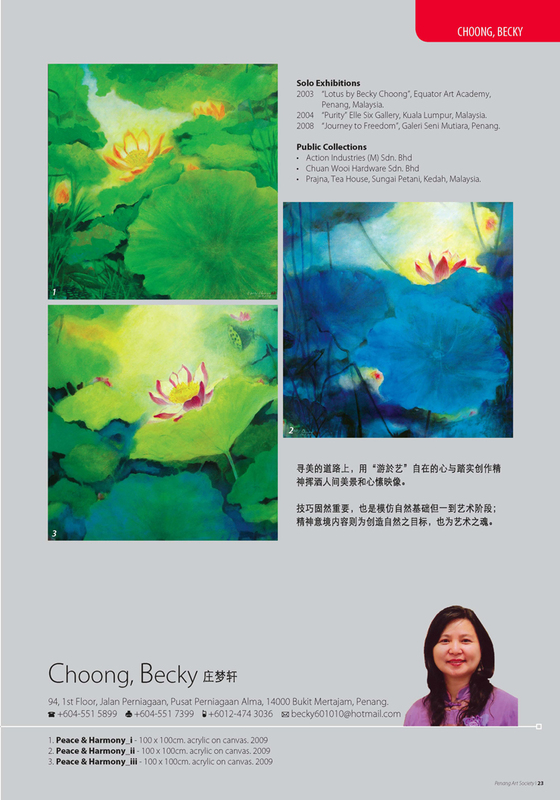 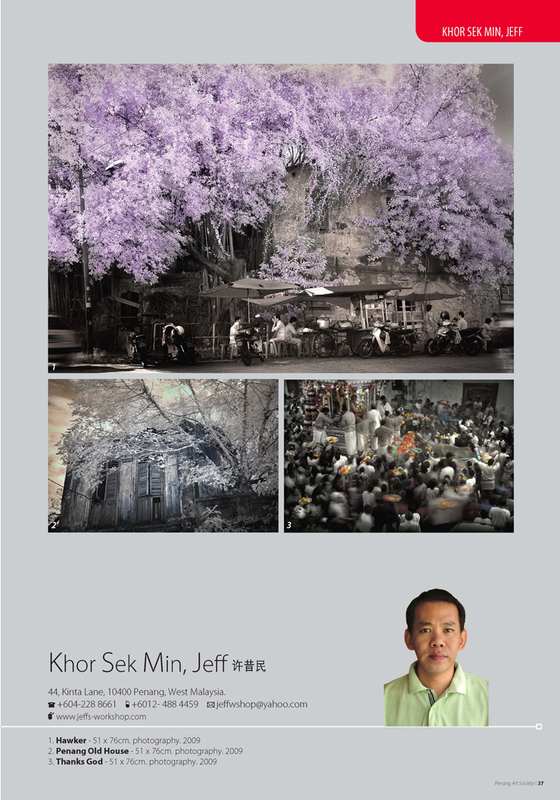 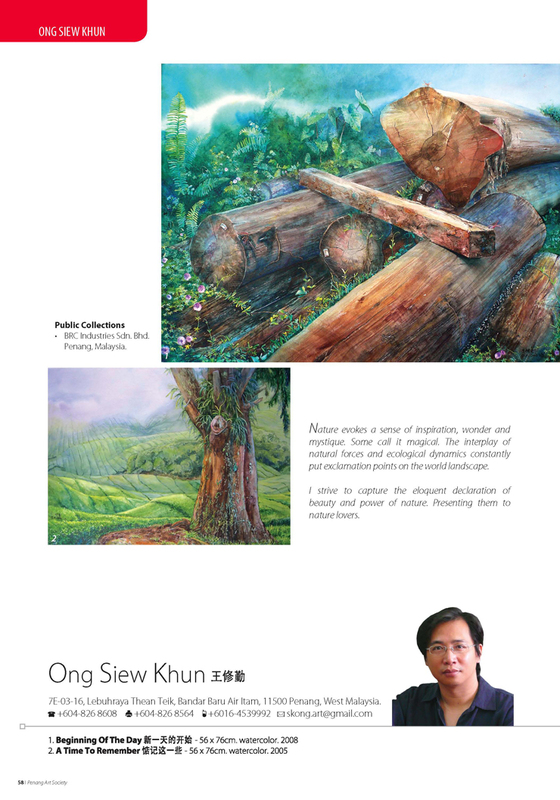 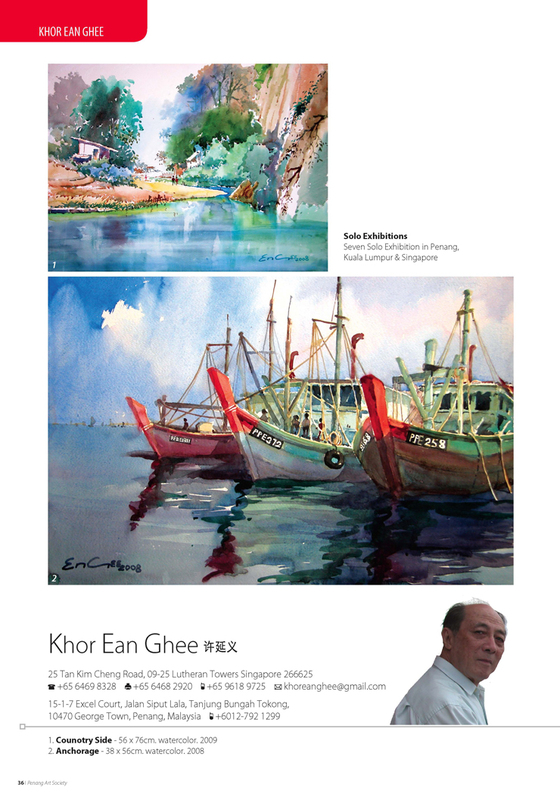 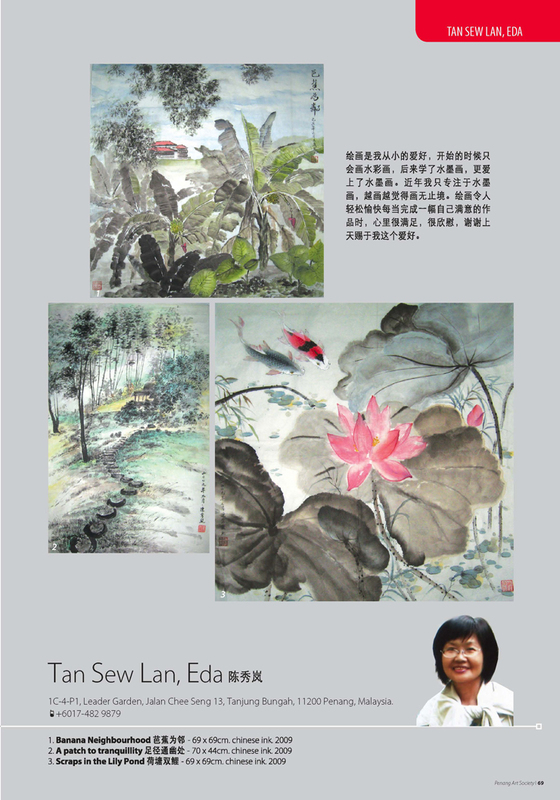 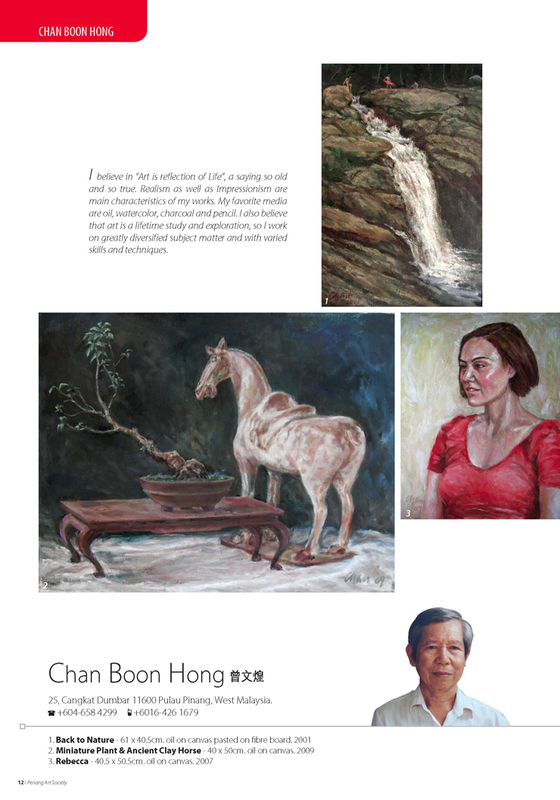 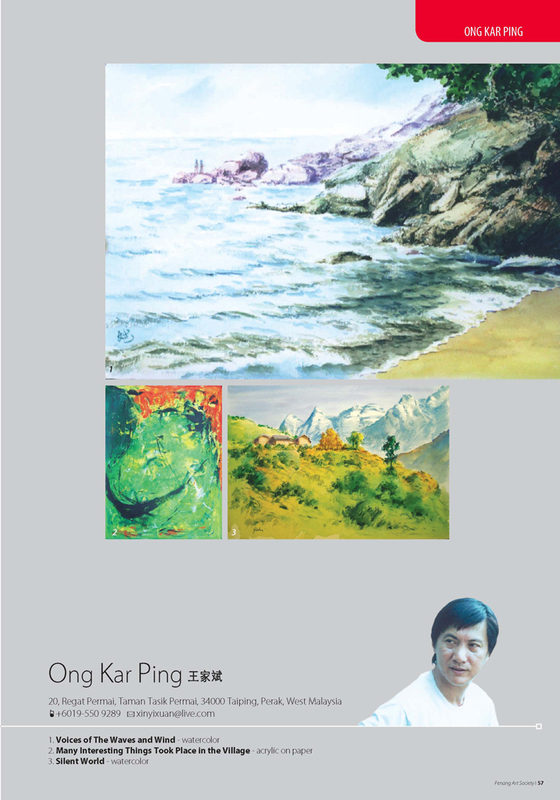 Penang Art Society is the oldest art society in Malaysia. 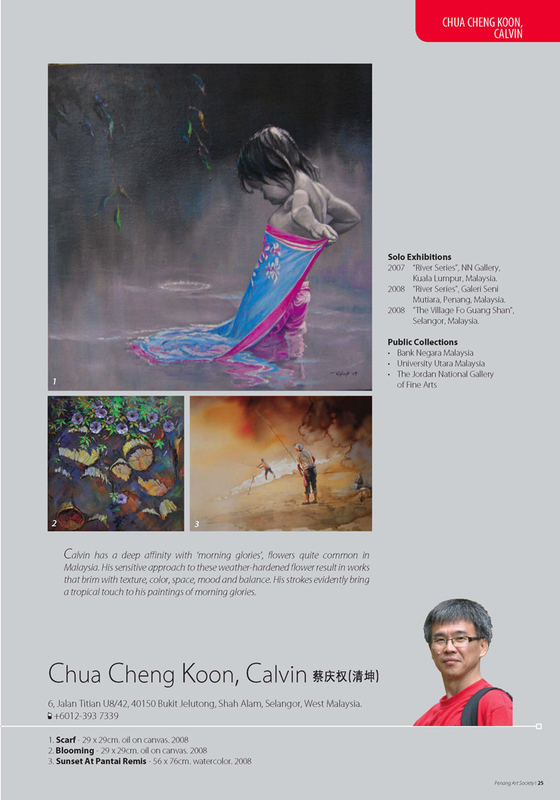 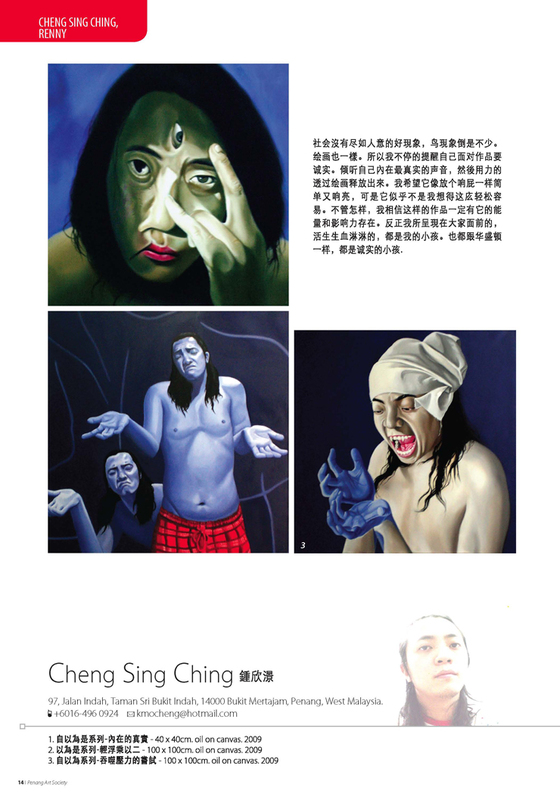 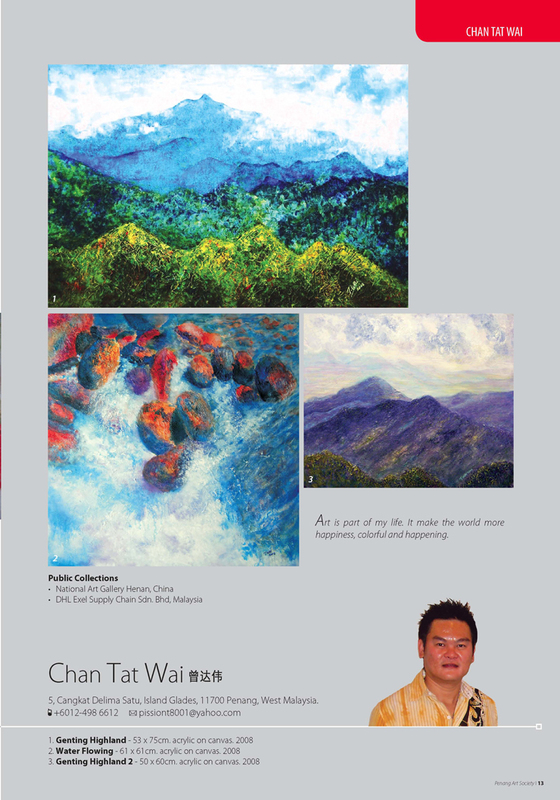 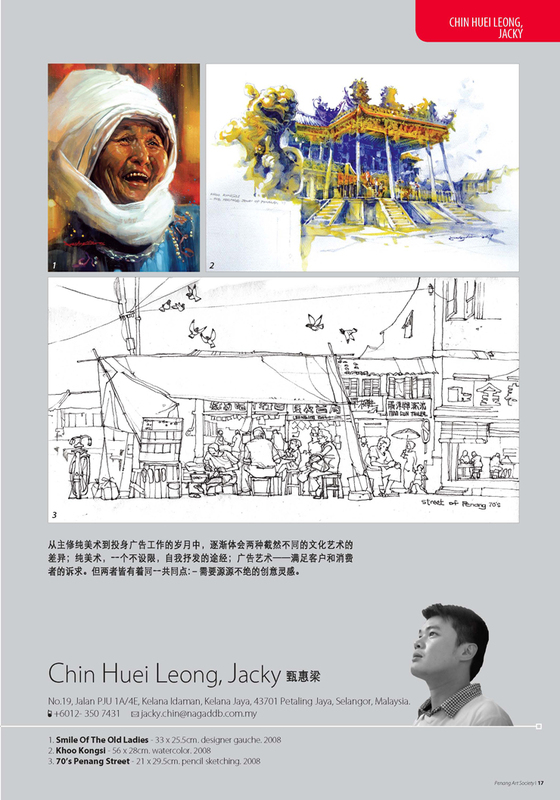 The society has been acting as a platform for artists to display their creativity and to promote local art in Malaysia. 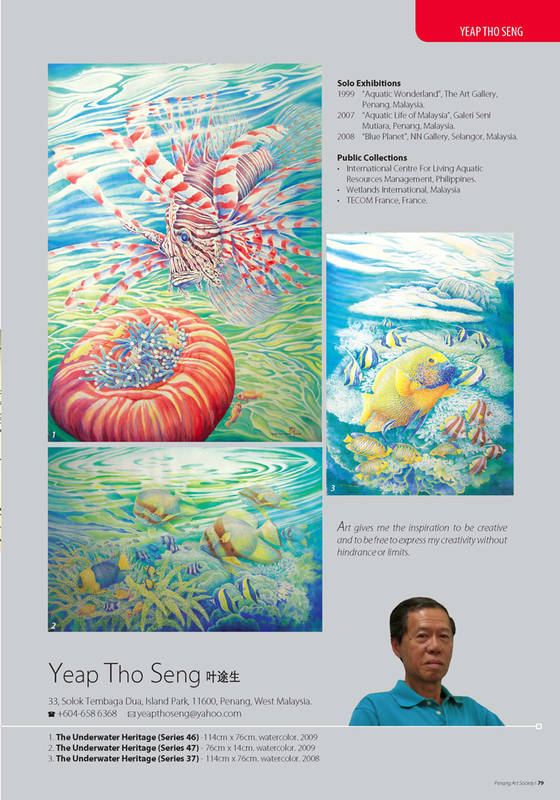 Taking advantage of the Asian art boom, the society is aiming to not only promote art locally but also to unite all Malaysian artists and to expose Malaysian art to the world. 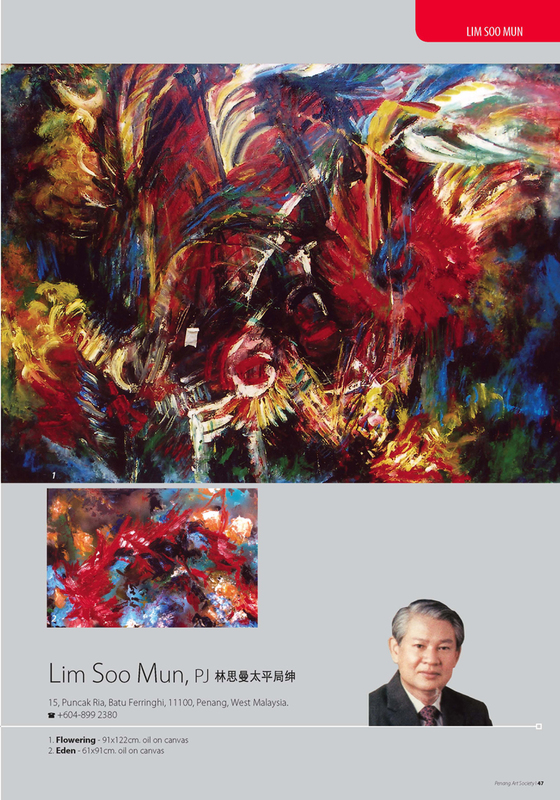 "A good piece of art work will be at a disadvantaged if it is not properly promoted. 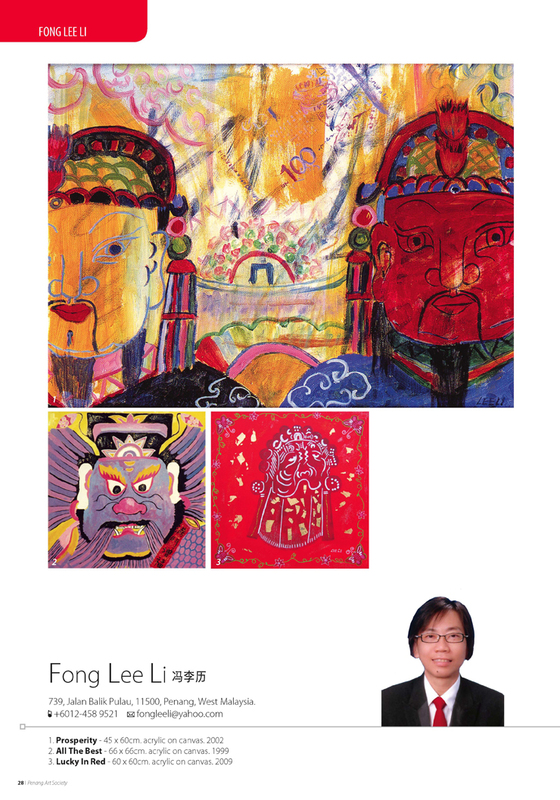 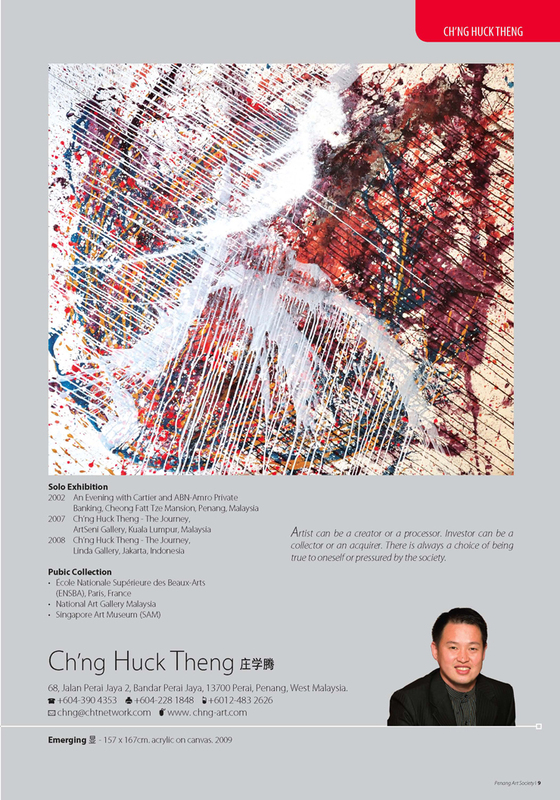 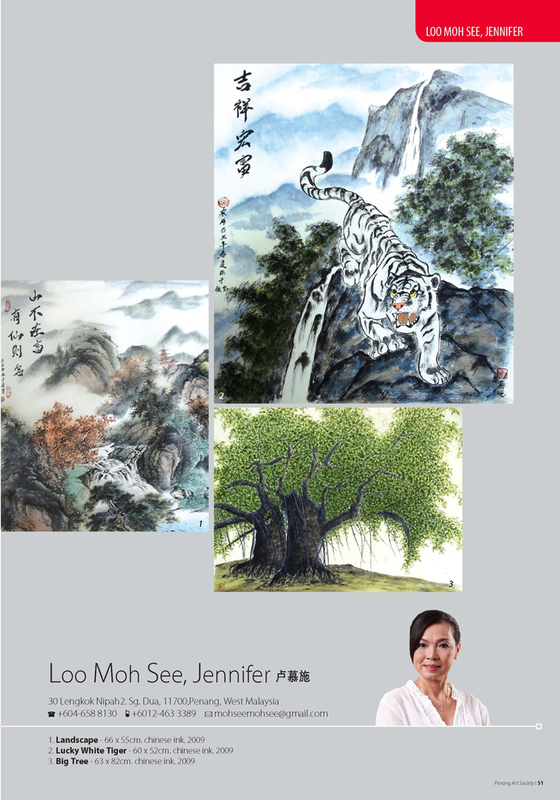 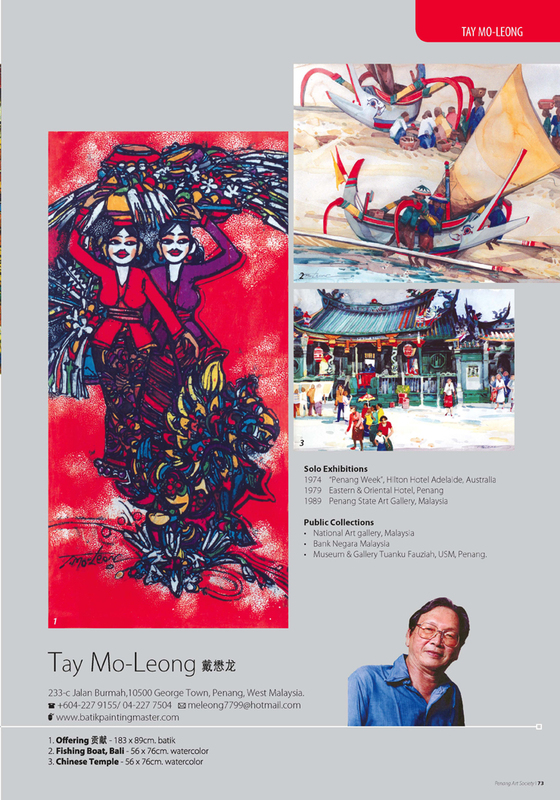 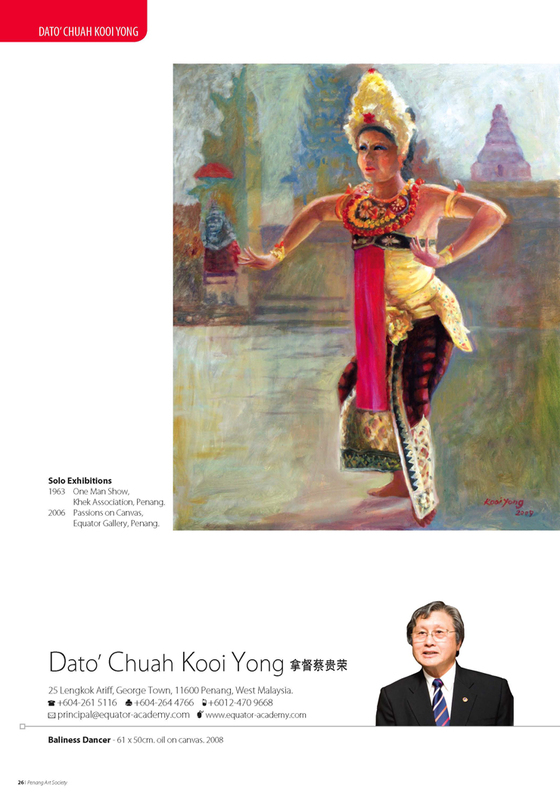 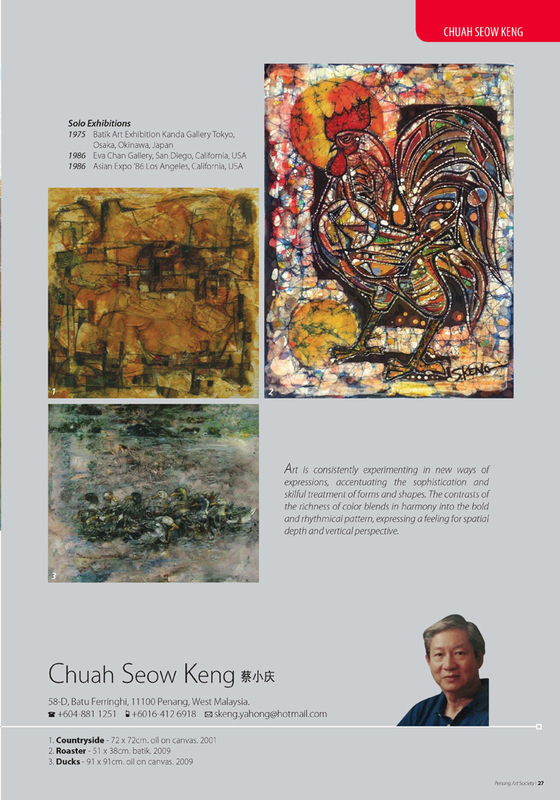 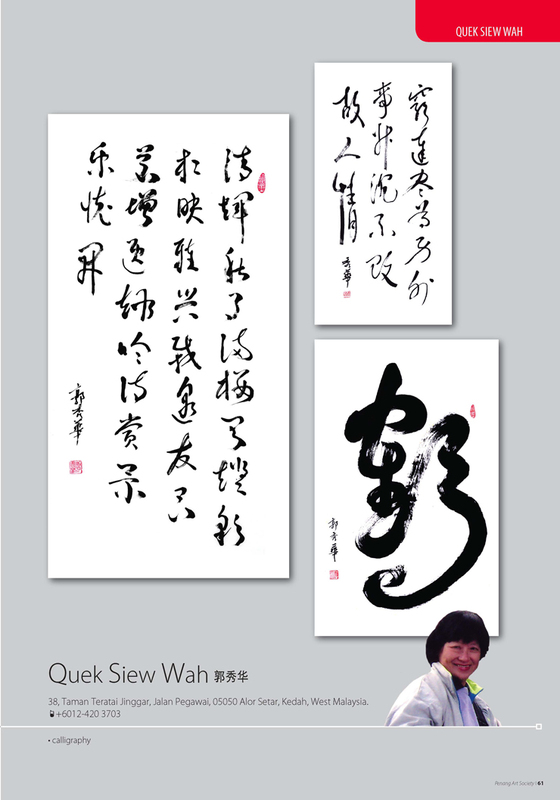 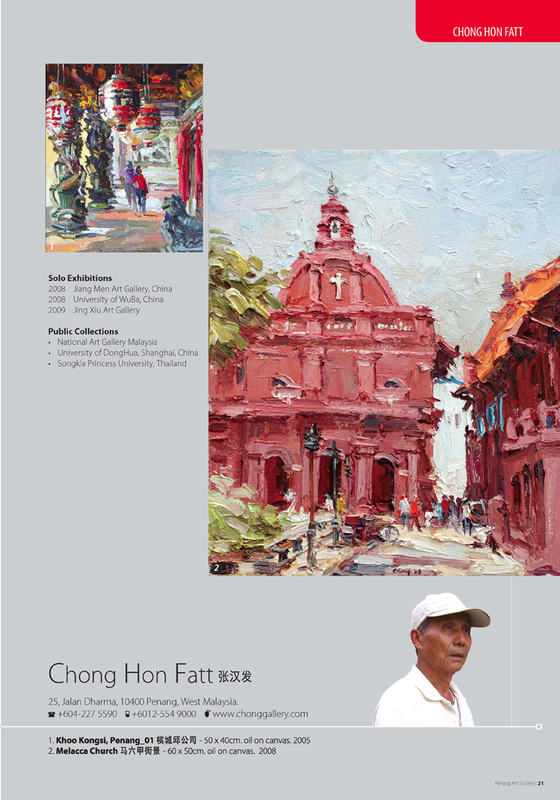 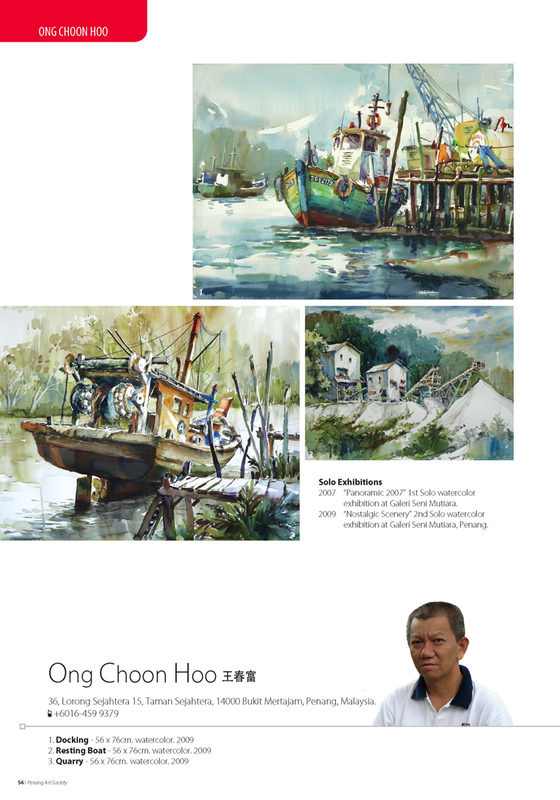 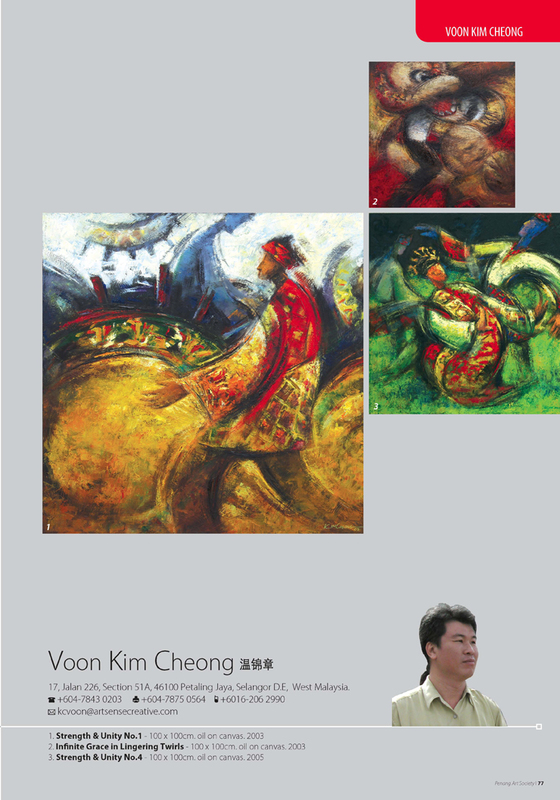 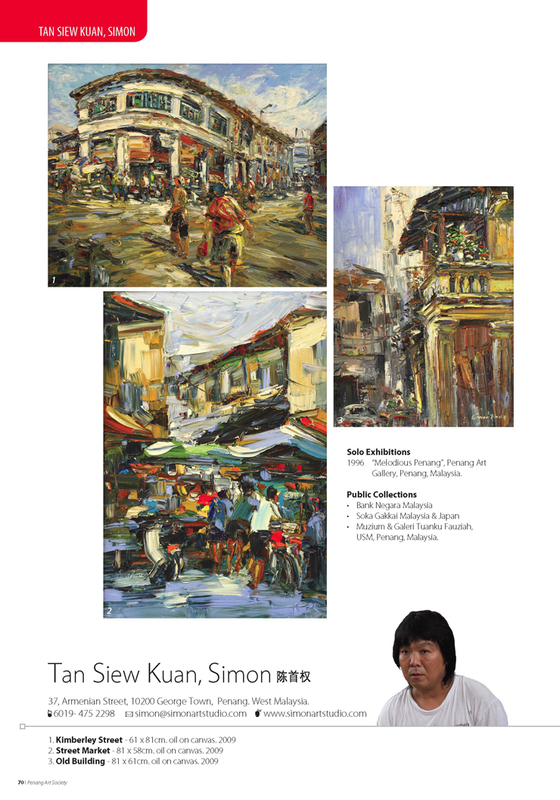 This is why mediums such as the Penang Art Society played a crucial role as it has unceasingly facilitated and tirelessly promoted Malaysian art works." 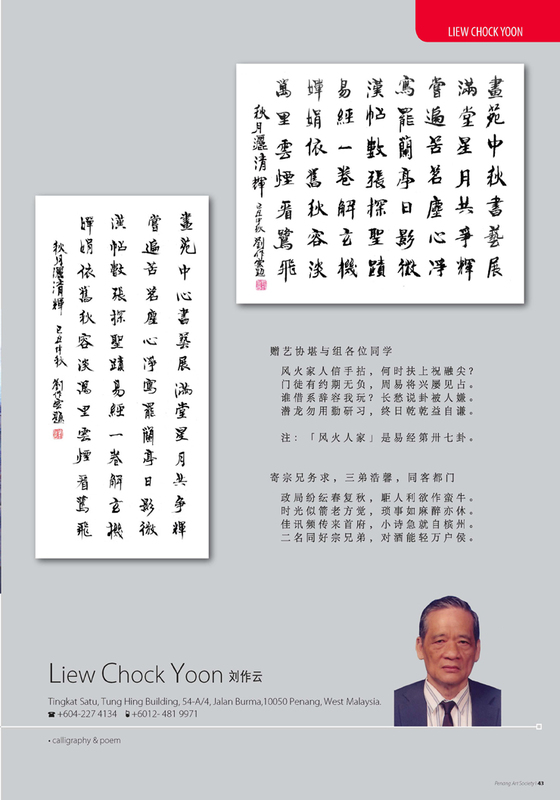 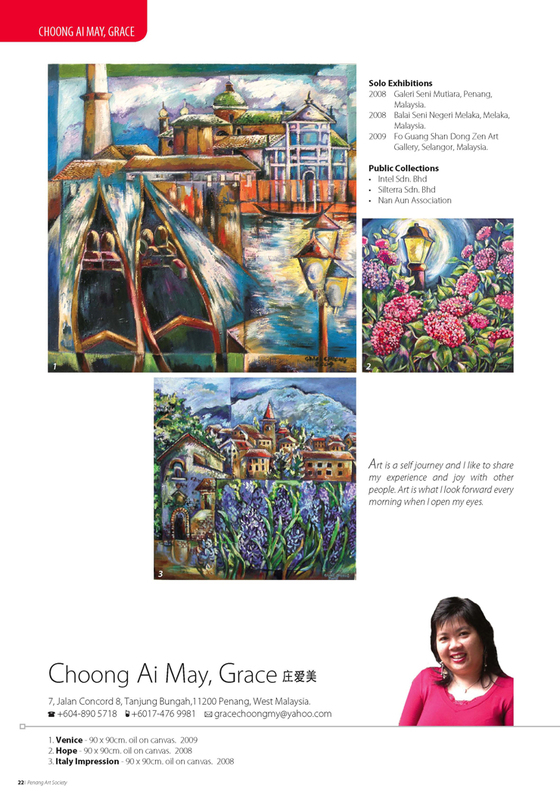 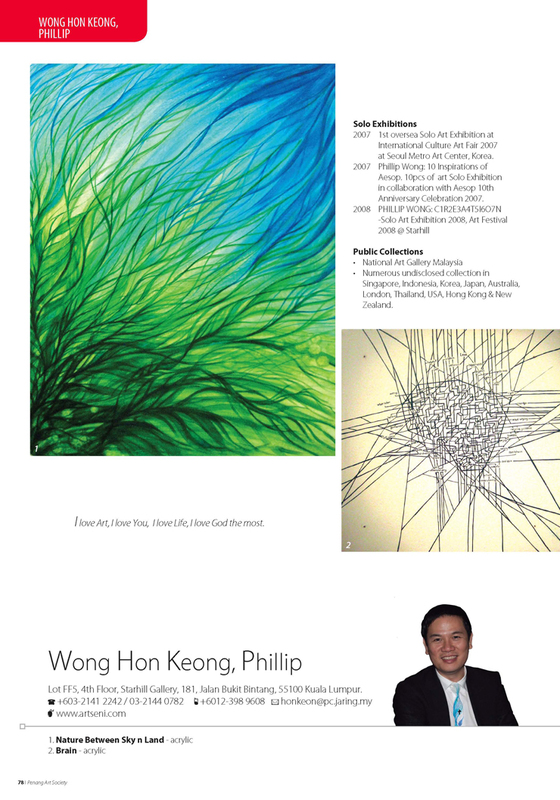 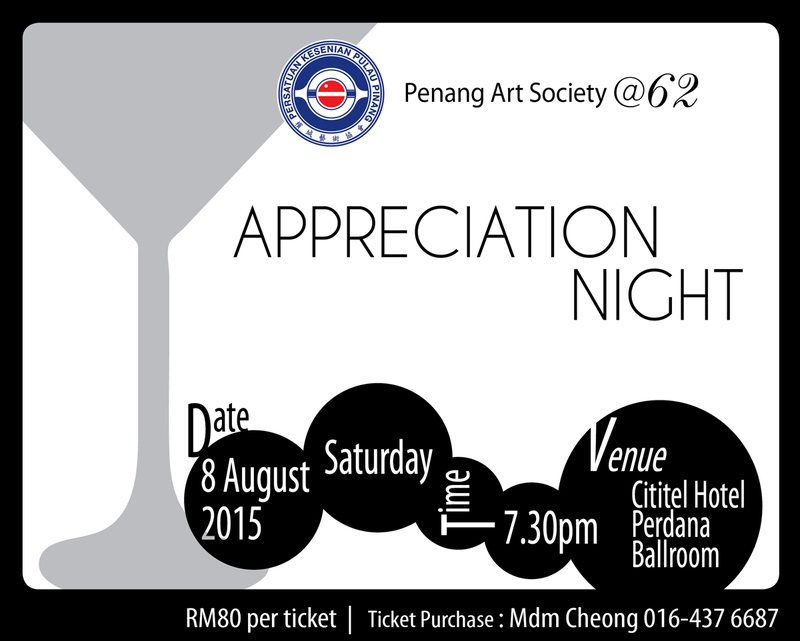 How long have you been a member o f the Penang Art Society? 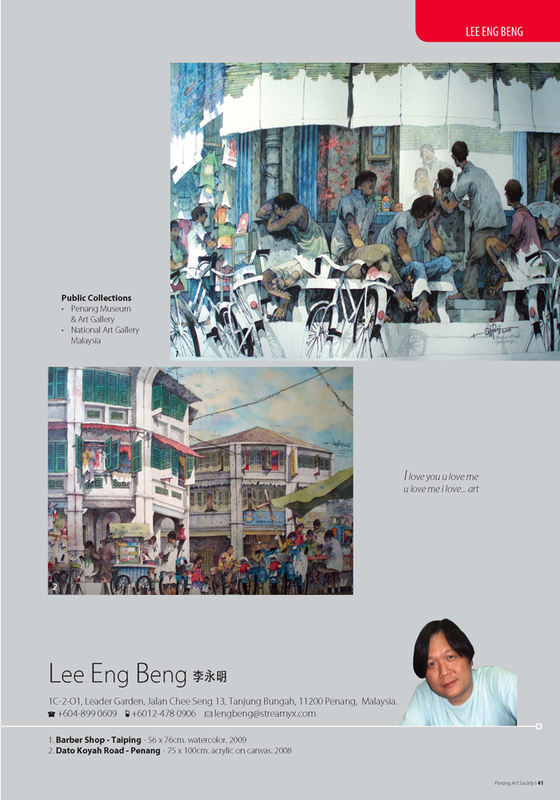 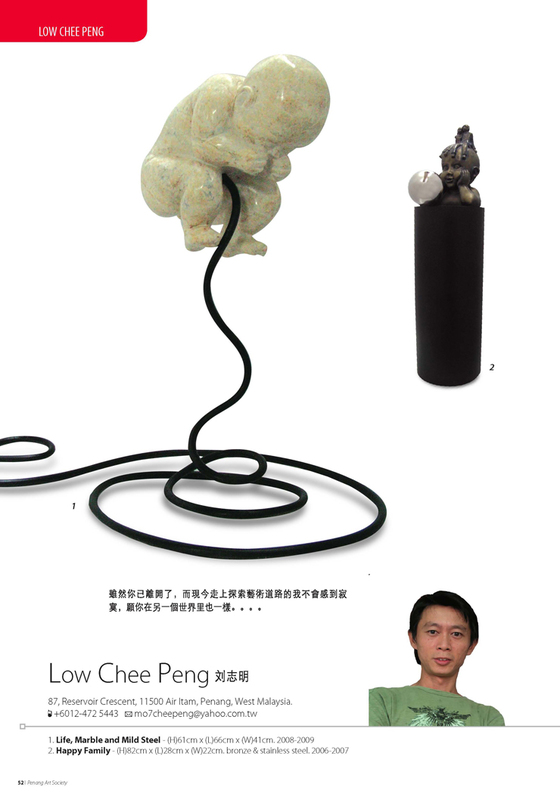 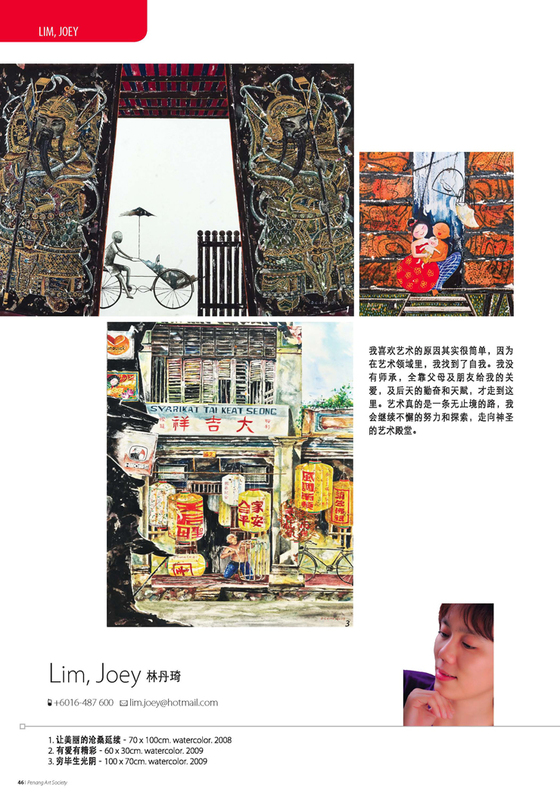 'PenangArtSociety@56' is the new Penang Art Society magazine that brands and promotes Malaysian art and culture as a whole. 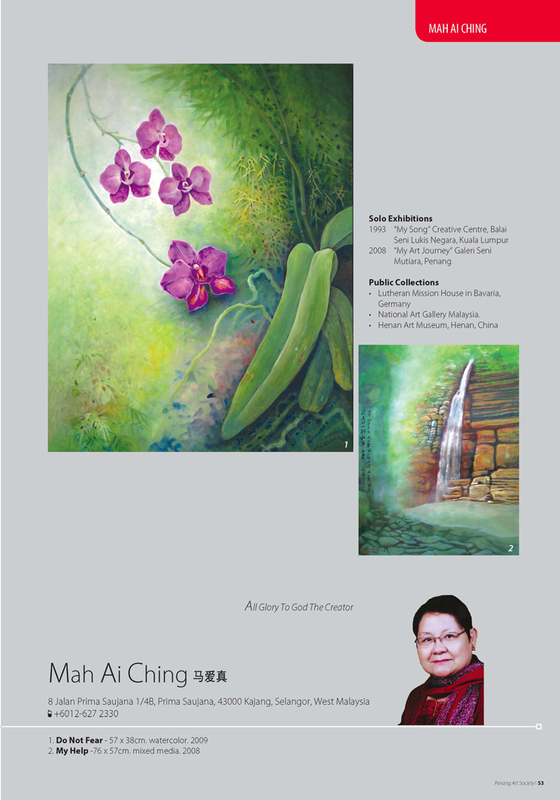 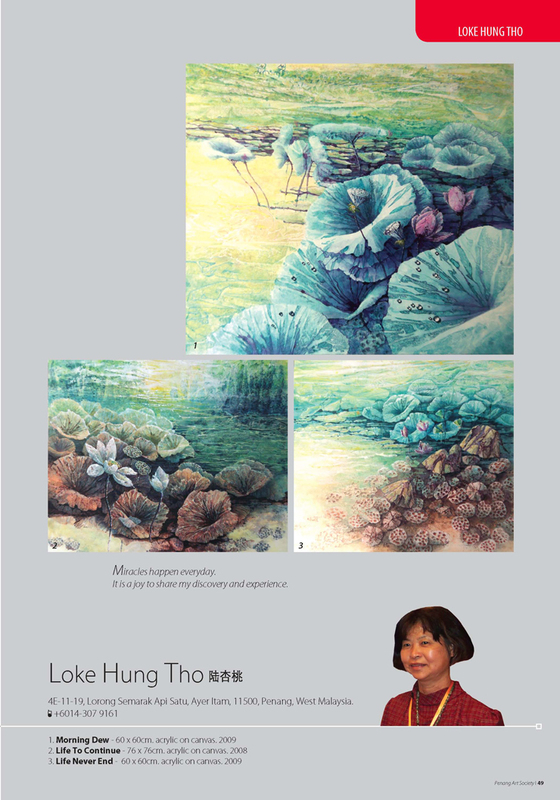 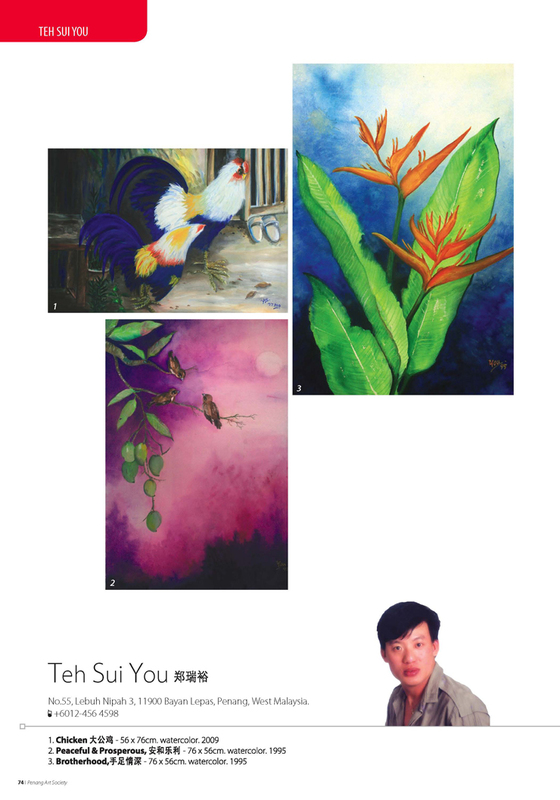 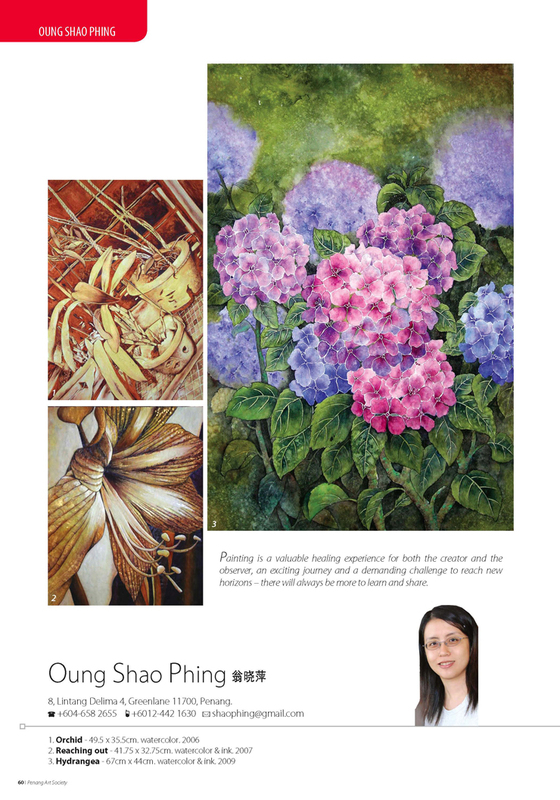 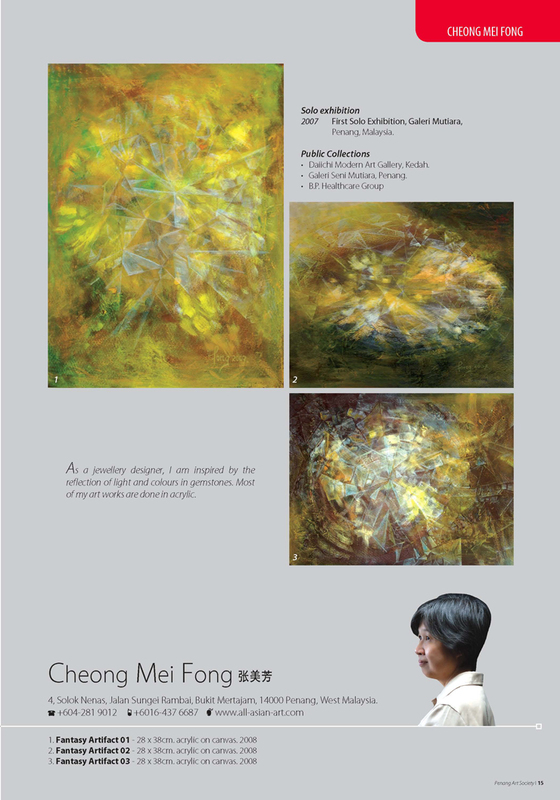 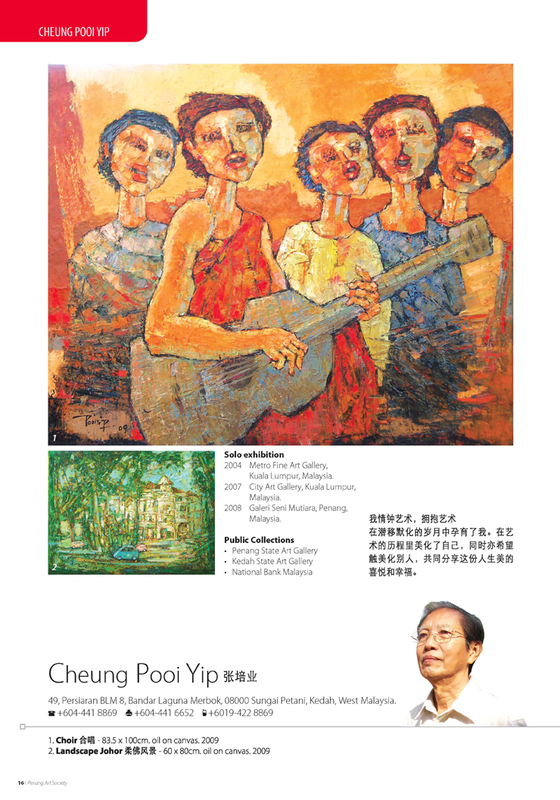 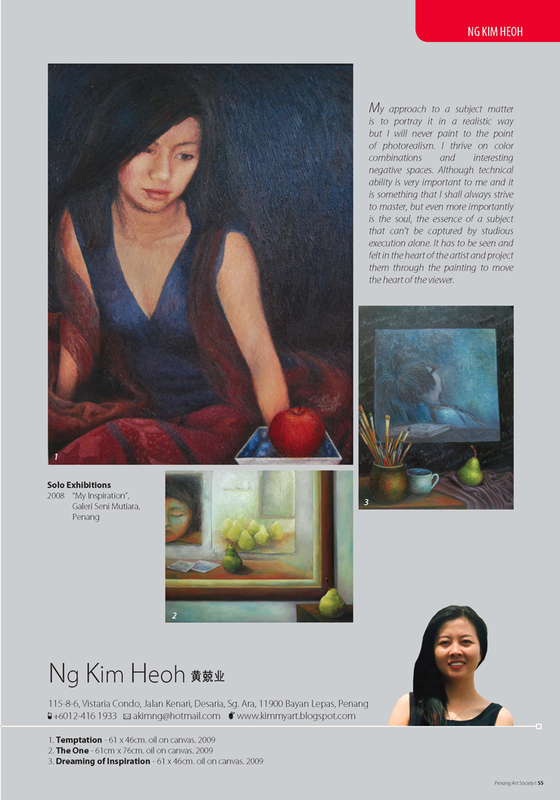 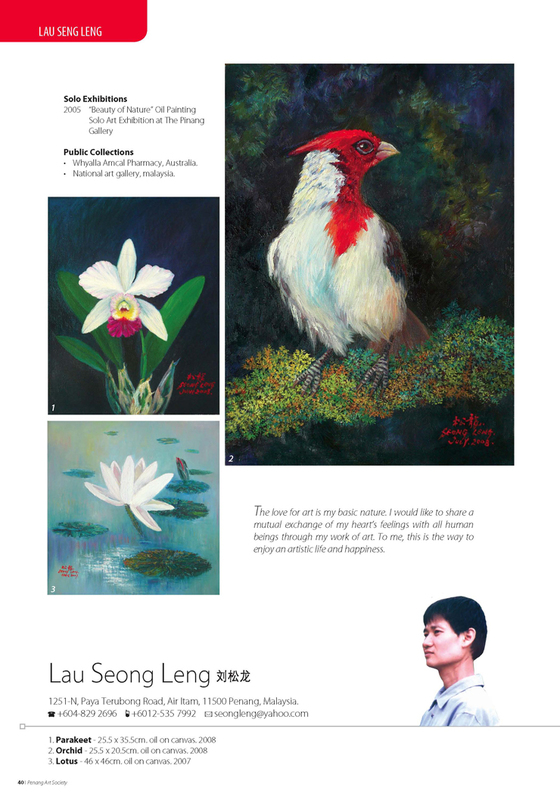 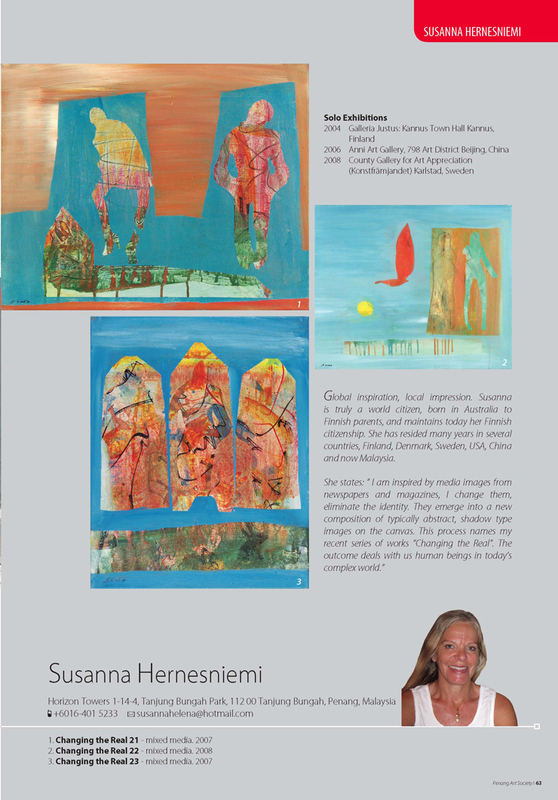 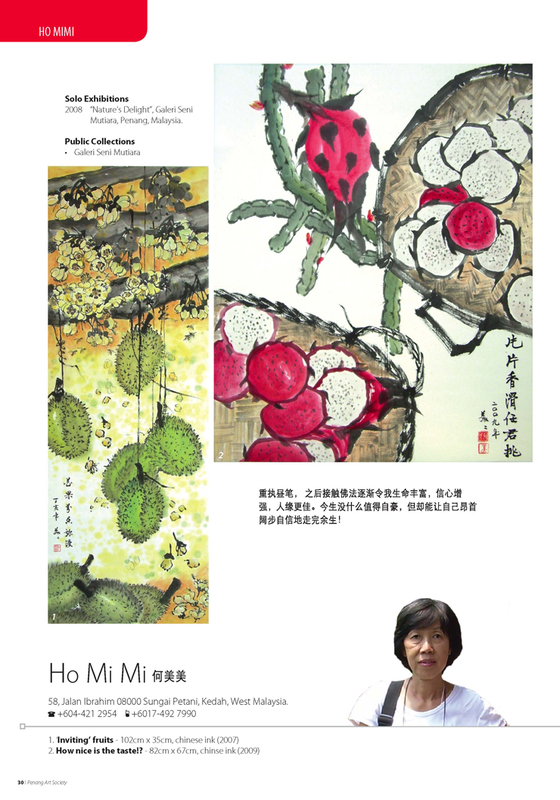 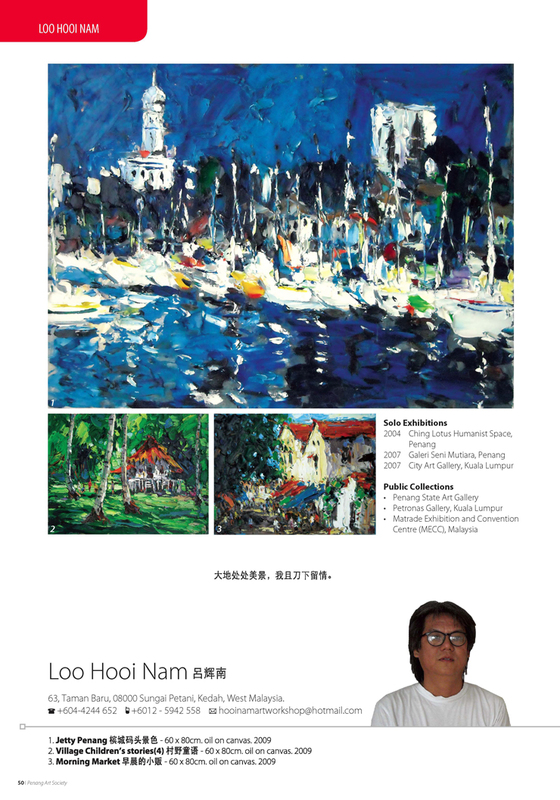 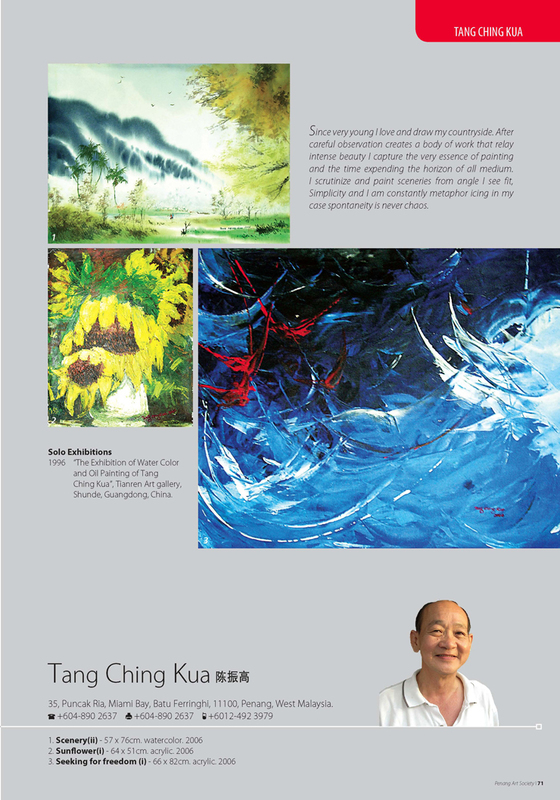 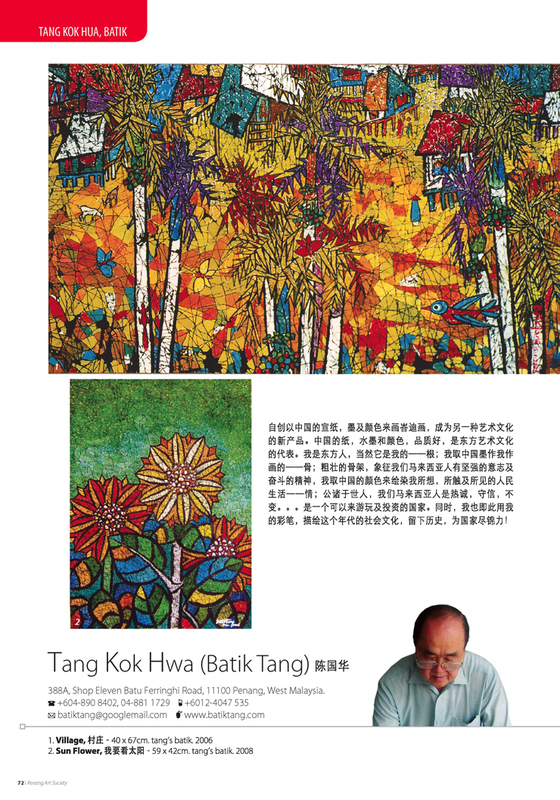 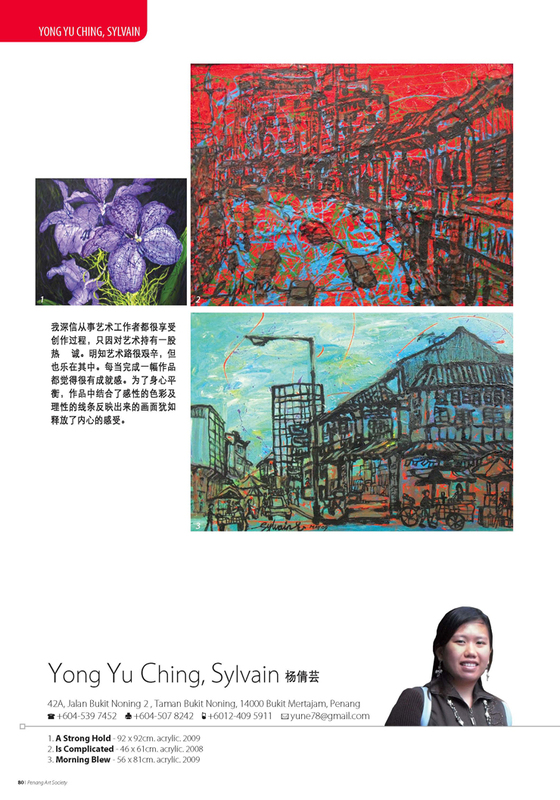 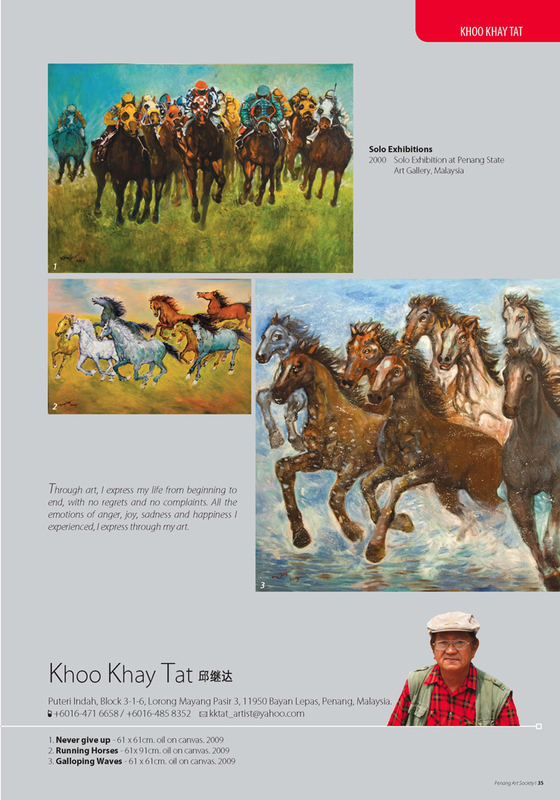 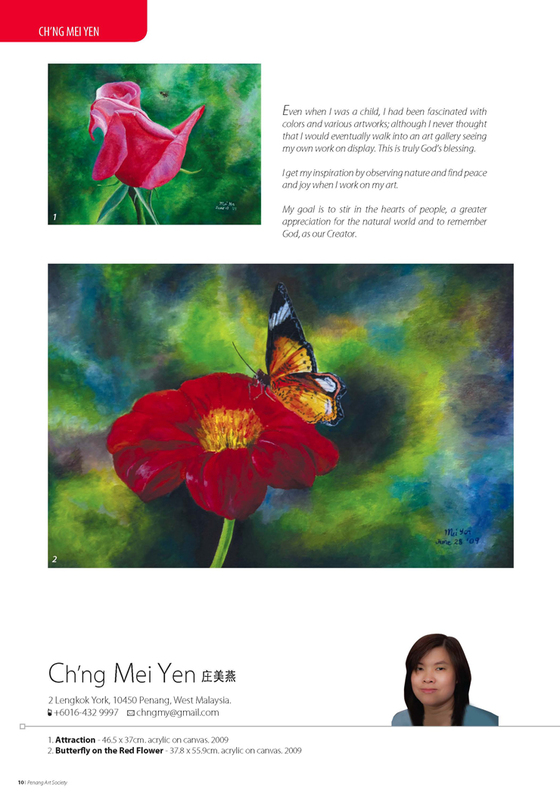 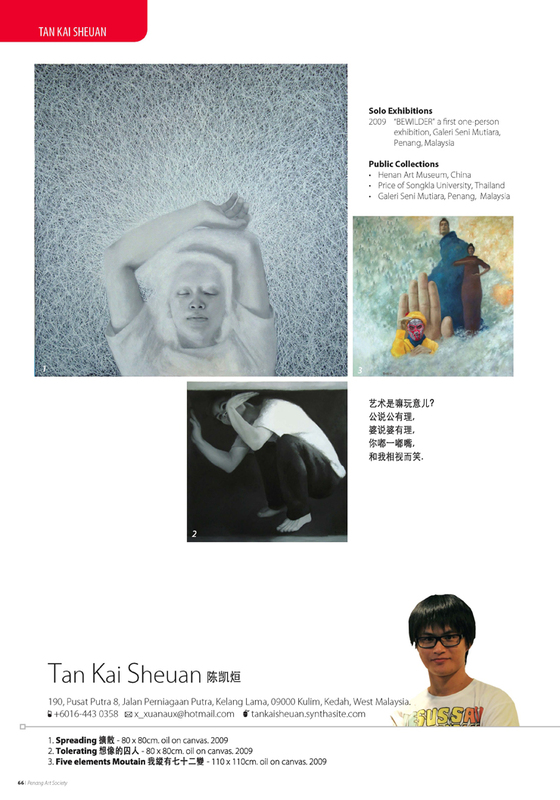 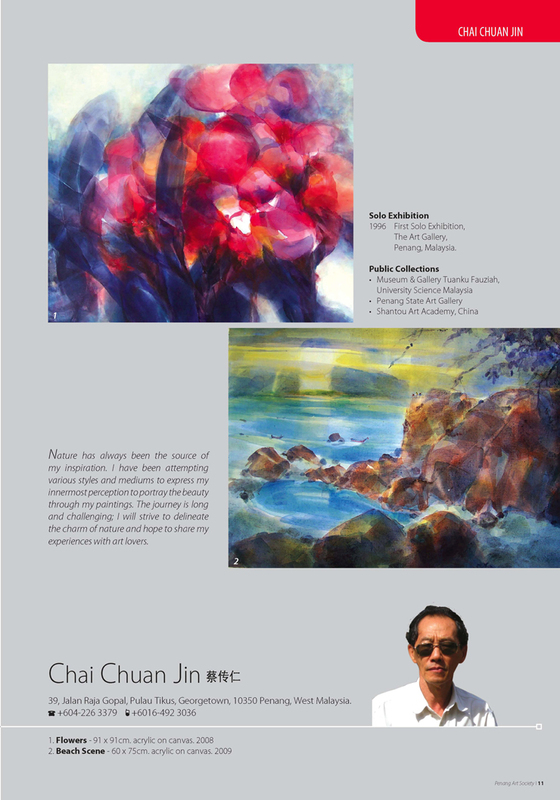 The magazine shares all participating artists' art vision with the rest of the world hoping it is the best way for the Malaysian art scene to move on to the next level. 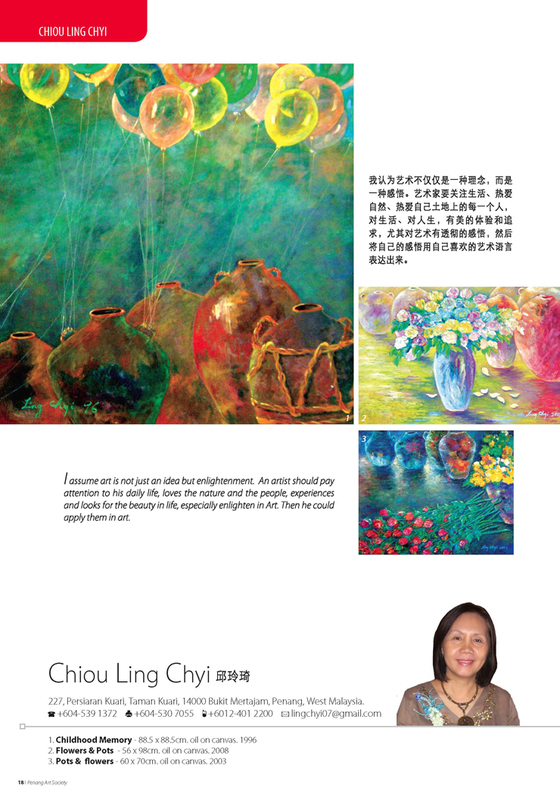 Download the magazine now for FREE! 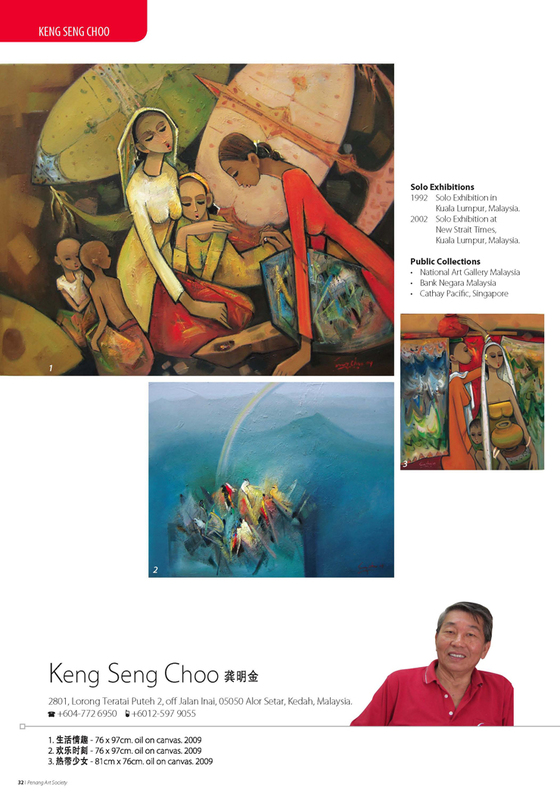 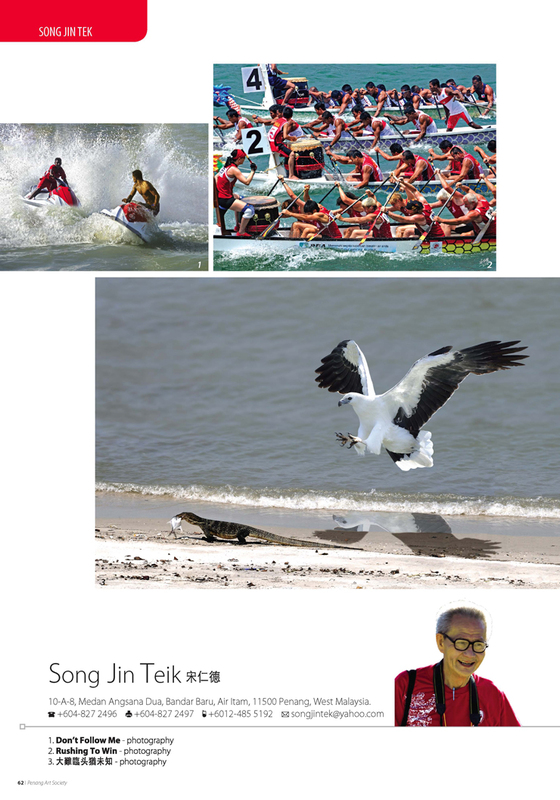 Copyright © 2009-2012 PenangArtSociety.com All rights reserved unless otherwise stated.